The boat spent the 2012-2013 winter season in Malta, in the central Mediterranean. Malta is a great place to winter for us, with good weather, great boat services, a launching pad in every Mediterranean direction, and movies in English when we slow our pace down at the end of the season. 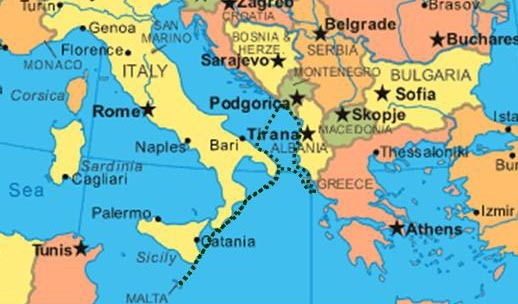 In 2013, we plan to leave Malta for Sicily, cross to the bottom of Italy's boot, and cross the Adriatic Sea to Albania. From there, we'll continue down the Adriatic to Greece's Ionian Islands. We'll return to Malta in the August time frame as we did in 2012, and our late-season trip will take us to Tunisia, which isn't that far away. Then we'll winter in Malta again.